Sony Xperia M2 is a good quality Android smartphone, which comes with 4.8 inch TFT touchscreen display powered by a 1.2 GHz cortex-A7 processor and it runs on Android 4.4.4 KitKat operating system, which is upgradable upto Android 5.1.1 Lollipop operating system. 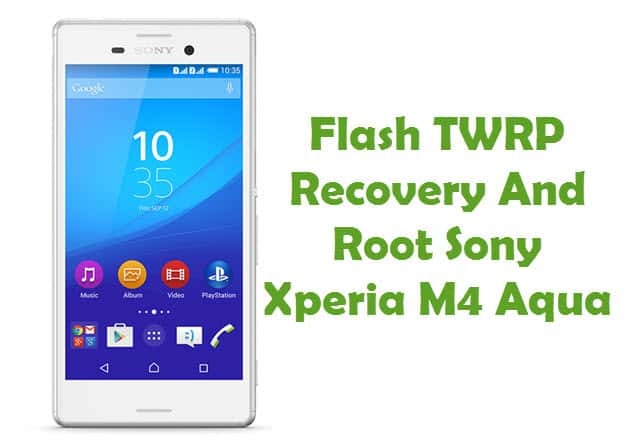 If you are looking for a way to root this smartphone, you are in the right page as I have a given a tutorial to root Sony Xperia M2. Just by following the tutorials given here, you will be able to unlock the bootloader of your device, install CWM recovery in it and then gain root privileges. Once you gain root privileges in your smartphone, you will be able to install custom ROM firmware’s of your choice, remove pre-installed Android applications, etc. WARNING: Rooting your Sony smartphone will void its warranty. Also, if you damage your device while rooting do not held us liable or responsible. Root at your OWN wish. Step 1: Before getting started with this rooting procedure, take a complete backup of personal data in your smartphone. Even if your device crashes during the rooting process and the data gets lost, you can restore it using the backup. Step 2: Next, download Sony Xperia M2 USB driver and install it in your computer, so that you can connect your smartphone with it successfully. Step 3: Now, you will need to enable USB debugging mode in your smartphone by following this path: Settings -> Developer Options -> USB Debugging. If you can’t see “Developer Options“, then you can enable it by following this path: Settings -> About Phone (tap on the build number for 7 times). Step 4: Ensure that your device has at least 60% battery backup with it before getting started with the rooting procedure. Also, make sure that you have disabled antivirus programs in your computer as they have a habit of disrupting the rooting procedure. Once you have finished all these preliminary tasks, you can move forward with the tutorials given below. Step 1: Before following this procedure, make sure whether your device’s bootloader is locked or unlocked. For that, open up your dialer and type *#*#7378423#*#*. Now, your device’s service information will get displayed. 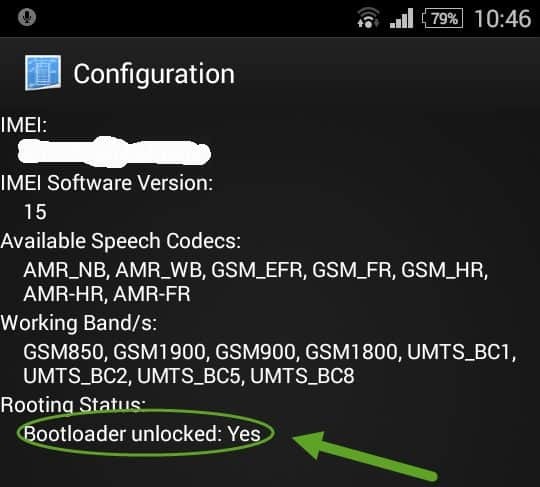 Click on configuration and check whether Bootloader unlock is allowed under Rooting Status. If it is allowed, then you can follow this procedure. 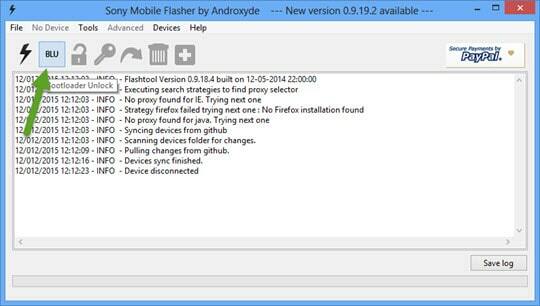 Step 2: To get started, download Sony Mobile Flashtool, install it in your computer and launch its Window. 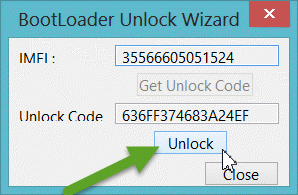 Once done, click on the “Bootloader Unlock” icon as shown in the screenshot below. Step 3: Now, connect your smartphone to the computer while holding the Volume Up key so that your Xperia M2 smartphone connects in the Fastboot mode. Once it is successfully connected, you will see the “Device Selector” pop-up window. 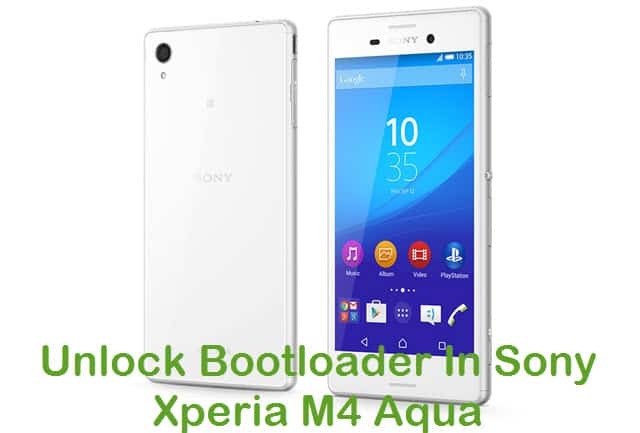 Step 4: Select “Sony Xperia M2” in the pop-up window to open up the “BootLoader Unlock Wizard“. Now, click on the “Unlock” button to unlock your device’s bootloader. 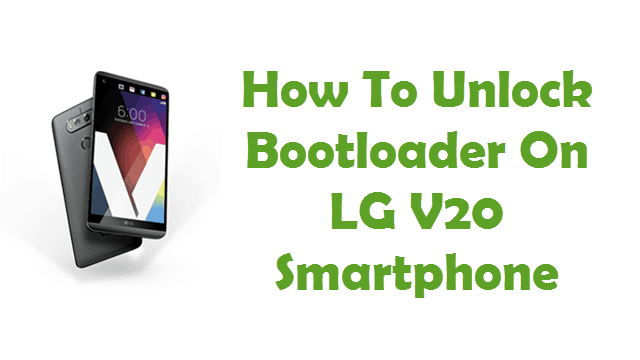 Step 5: Once the bootloader unlocking process gets finished, reboot your device and check your bootloader status by typing *#*#7378423#*#* in your dialer. 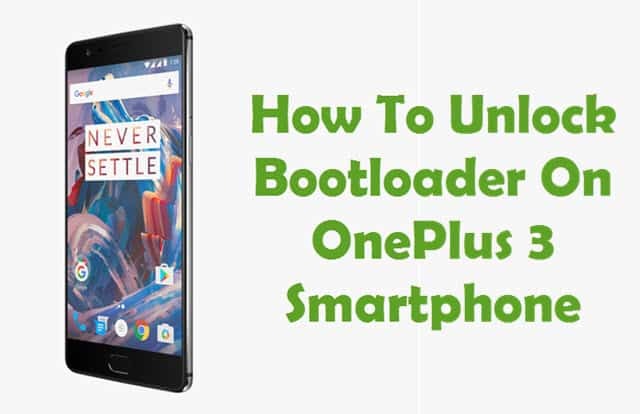 If you have followed these steps carefully, then your device’s bootloader will be unlocked. 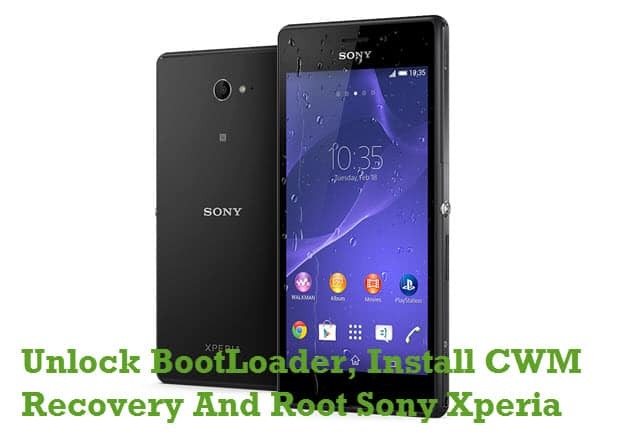 Now, let’s find out the way to root Sony Xperia M2 by installing CWM recovery. Step 1: To get started, download Minimal ADB and Fastboot, extract it and install it in your computer. Next, download Xperia M2 CWM recovery image, rename it to “boot.img” and save it in the same folder where you have installed the ADB and Fastboot files (C:\Program Files (x86)\Minimal ADB and Fastboot). 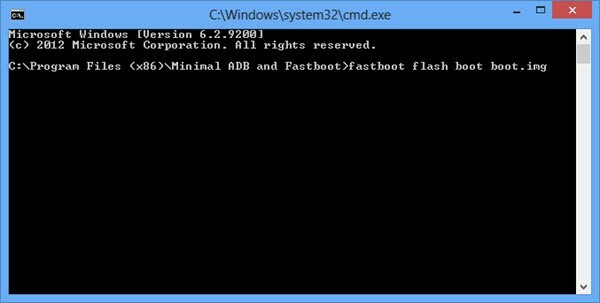 Step 2: Now, launch the Minimal ADB and Fastboot command prompt window. Once done, switch off your smartphone and boot into the recovery mode by pressing and holding the Power and Volume Down key simultaneously. Once your device boots into recovery mode, connect it to the computer. Step 4: Once the flashing process is finished, enter the following command to reboot your smartphone. That’s it. 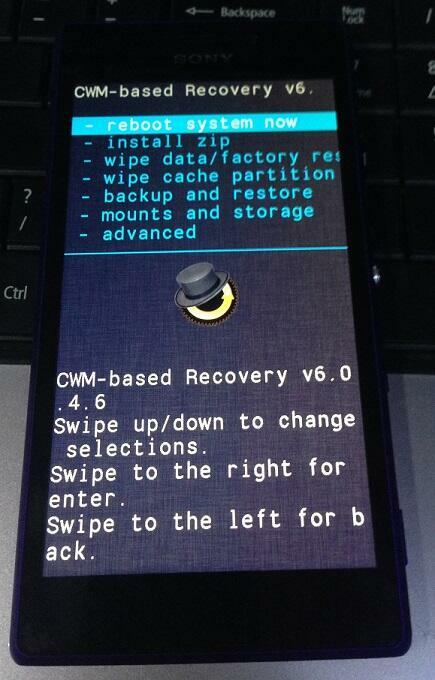 Now, you have successfully finished installing CWM recovery in your Xperia M2 smartphone. Now, let’s find out the tutorial to root your device. Step 1: To get started, download SuperSU zip package and save it in your computer. Next, connect your smartphone to the computer using the original USB data cable and transfer the SuperSU zip package to your device’s SD card. Once done, unplug your smartphone. Step 2: Next, switch off your smartphone and boot into the CWM recovery mode by pressing and holding the Power and Volume Down keys simultaneously for few seconds. Step 3: Once your Xperia M2 smartphone boots into the recovery mode, flash SuperSU by following this path: Install Zip -> Install Zip from SD card -> Select the SuperSU file in your SD card. Step 4: Once the flashing process is finished, reboot your system by selecting the “reboot system now” option. That’s it. 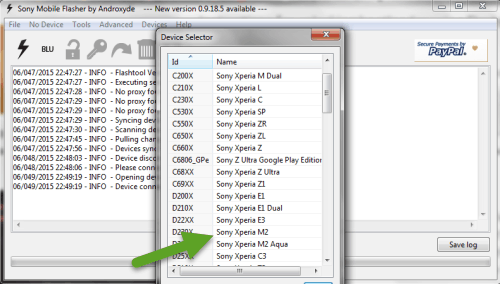 Now you have successfully finished rooting Sony Xperia M2 (D2303, D2305, D2306) Android smartphone. 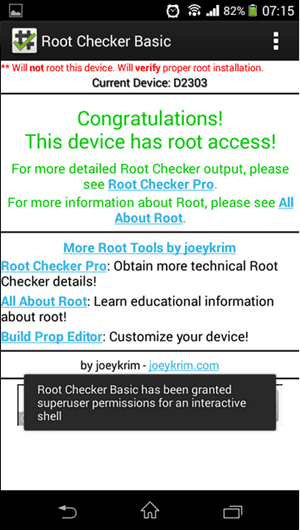 For confirmation, install the Root Checker app from Google Play store and open up the application. If you have successfully rooted your device, you will get the “Congratulations! This device has root access!” as shown in the screenshot below. Can rooting on m2 d2303 be achieved WITHOUT connecting to PC? I am not sure whether it is possible but I will have a look at it and will get back to you shortly. You can root your phone via KingRoot.apk, then replace it with SuperSU, but you may get stuck in Bootloop. Like Me! Yes, this tutorial is applicable. Well, I got stuck in a bootloop. Allready posted something on that, but I thought it might help if I answer one of your posts. Este recovery vale para lollipop? Is there any reason I shouldn’t be able to boot into recovery as able? I’m apprehensive to flash anything to my device without checking I can properly boot to it from my pc. I cant connect my sony xperia m2 in fastboot mode please help! Push and hold Volume UP, Then attach USB cable to phone, when blue LED lights up release volume button. boot loop ! how to fix it ? Can I do this on Lollipop 18.6.A.0.182 D2303 LTE ? oye broder pongo el primer comando fastboot flash boot boot.img y enter y de ahy no pasa nada y el telefono ya esta en modo de recuperacion……. Thank you for the guide tho, it is really good. Until that point where my phone got stuck in that bootloop.. Please do not follow this manual … it will bring you a boot loop and you will not be able to work with your phone !!! Hi, it says to me, bootloader cant be officialy unlocked, but phone in configuration says Boatloader unlock allowned: Yes. does this method work on M2 D2302 kitkat 4.4.4?? Can it be used for the device Xperia M2 dual D2302. despues de flash el boot con el CWM, ¿cómo vuelvo al boot del 5.1.1? I tried this and found my self in a bootloop problem (D2303 running on Android 5.1.1 build no. 18.6.A.0.182. How to fix, if you already unlocked your bootloader, relock them by following the same instruction as unlocking the bootloader. Then open Sony PC suite and click Phone/Tablet Software update, then click repair phone/tablet. Then just follow its instruction. (Note: if the PC Suite instructed you to hold Volume -, don’t follow it. Instead hold volume +). I hope this helps. /!\ YOU MUST NOT FLASH A RECOVERY ON THE BOOT PART.